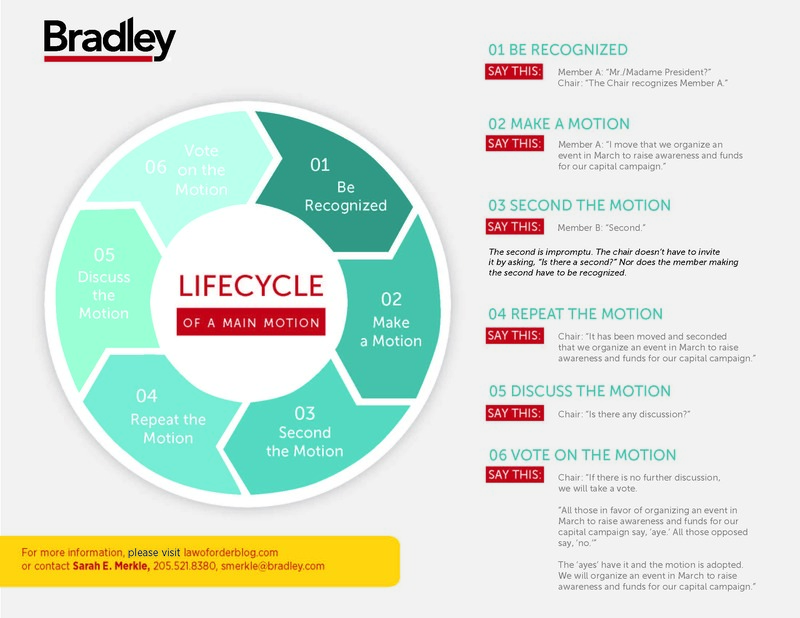 We’ve talked before about how to make a motion and what happens to a motion after a member makes it. For all you visual learners, here’s an infographic that illustrates these parliamentary procedure concepts. Don’t be afraid to take this with you to a meeting! Who knows? That person next to you may need it.